Coach Pete Carroll said Janikowski isn't expected to need surgery after suffering a hamstring injury in Saturday's playoff loss to the Cowboys, Bob Condotta of The Seattle Times reports. 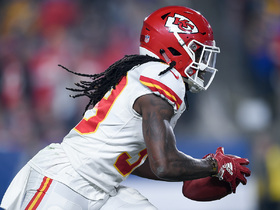 "He didn't think he did something out of the ordinary of a hamstring pull, but it was certainly significant," Carroll said. Analysis: Janikowski will turn 41 years old in March, which is the same month he's set to hit free agency again. He was fairly reliable as a place kicker, converting 22 of 27 field goals (81 percent) and 48 of 51 extra points (94 percent). The Seahawks will continue to evaluate Janikowski's injury and likely ponder the free-agent market along with incoming rookies before making a decision to re-up his contract. Janikowski (thigh) was ruled out for the remainder of Saturday's wild-card game at Dallas, John Boyle of the Seahawks' official site reports. Analysis: Janikowski suffered the injury on a failed 57-yard field goal at the end of the first half. Punter Michael Dickson would likely fill in if the Seahawks opt to utilize a kicker, but the team understandably decided to attempt a two-point conversion following its third-quarter touchdown instead. Janikowski is questionable to return to Saturday's wild-card game at Dallas after suffering a thigh injury, Curtis Crabtree of Sports Radio 950 KJR Seattle reports. Analysis: Janikowski missed a 57-yard field goal at the end of the first half and appeared to be in significant pain as he immediately began clutching his leg. The 40-year-old made field goals from 42 and 27 yards earlier in the game, but he may be unavailable to kick in the second half. According to Bob Condotta of The Seattle Times, punter Michael Dickson began practicing field goals during halftime as the Seahawks attempt to patch together a potential solution. 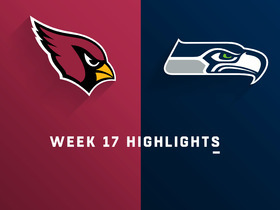 Janikowski converted the game-winning, 33-yard field goal versus the Cardinals on Sunday. He also hit a 42-yarder and all three extra points. Janikowski converted two of three extra points and a 48-yard field goal in Sunday's overtime loss to the 49ers. Analysis: After hitting the first 33 extra points of the season, Janikowski has missed three of 10 over the last three weeks. The 40-year old is still formidable with the Seahawks, as he's nailed 18 of 22 field goals (82 percent) this season, but missed extra points could prove costly if it extends into the likely postseason. Janikowski converted both field goals and his lone extra-point attempt in Monday's win over the Vikings. Analysis: After missing two extra points in Week 13, Janikowski bounced back. His field goals came from 35 and 37 yards, and Janikowski has now drilled all nine field goals over the last five weeks. Janikowski converted his only field goal attempt -- a 40-yarder -- and four of six extra points in Sunday's win over the 49ers. Analysis: Janikowski hit all 33 extra points entering this game, so it was a concerning performance. The Seahawks could afford the misses in their 27-point win over the 49ers, but he'll need to shore up his efforts as the Seahawks make a playoff push. Janikowski converted all three field goals and all three extra points in Sunday's win over the Panthers. Analysis: Every point was necessary to win, but Janikowski's 31-yard field goal sealed the game as the final seconds ticked off the game clock. Janikowski has converted every kick over the last three weeks, totaling six field goals and 10 extra points. Janikowski made both field goals and all three extra points in Thursday's 27-24 win over the Packers. Analysis: Janikowski hit 39- and 43-yard field goals, raised his accuracy rate for the season to 80 percent while remaining perfect by nailing all three extra points. The Panthers have allowed the ninth-most points (25.8) per game this year, so he should have plenty of scoring chances in a Week 12 battle versus Carolina. Janikowski converted a his lone 33-yard field goal attempt and all four extra points in Sunday's 36-31 loss to the Rams. Analysis: Janikowski's converted 10 of 14 field goal attempts (71.4 percent) and made all 27 extra points this season. His dependability is low in the fantasy realm, especially with so few opportunities. Janikowski completed one of two field goals and both extra points in Sunday's 25-17 loss to the Chargers. Analysis: Janikowski made his 44-yard attempt but missed a 51-yarder later in the game. His 75-percent conversion rate on field goals is the second-worst of his career, but he's still perfect on all 23 extra points. Janikowski made all four extra points in Sunday's 28-14 win over the Lions. Analysis: Janikowski was in line for a short field-goal try, but the Seahawks opted to go for it on fourth down from the Lions one-yard line, an attempt that proved unsuccessful. Janikowski has 11 field-goal attempts through seven games, converting on eight (73 percent). He's made all 21 extra points. Janikowski drilled two field goals and all three extra points during Sunday's 27-3 win over the Raiders. Analysis: Janikowski nailed a 44-yard field goal as time expired in the first half and added another 26-yarder early in the third quarter. He has now converted five straight field goals, including three over 40 yards, and every extra-point attempt this year. Janikowski made a 52-yard field goal and all four extra points in Sunday's 33-31 loss to the Rams. Analysis: After missing two field goals the previous week, Janikowski bounced back with a perfect performance. He's now made three of four attempts from over 50 yards and converted all 14 extra points. Janikowski converted two of four field goals and both extra points in Sunday's 20-17 win over the Cardinals. Analysis: Janikowski missed his first two tries of the day from 38 and 52 yards. He was unfazed, though, as he knocked home a 40-yarder in the third quarter and pushed a 52-yarder through as time expired for the win. The misses are troubling, but Janikowski proved he still has the leg to be formidable in Seattle. Janikowski drilled a 47-yard field goal and made all three extra points in Sunday's 24-13 win over the Cowboys. Analysis: Janikowski has now made three of four field goals and all eight extra-point attempts this season. His Week 4 matchup will be against the Cardinals, who allowed three field-goal attempts of over 40 yards to the Bears in Week 3. Janikowski nailed a 56-yard field goal on his only attempt and made both his extra-point tries in Monday night's 24-17 loss to the Bears. Analysis: Janikowski proved he still has plenty of leg at 40 years old, matching his season-long make from both of the prior two campaigns already in Week 2. 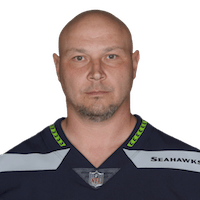 With 56 career conversions from 50-plus yards, Janikowski gives the Seahawks a kicking weapon to support an offense that may struggle to consistently produce touchdowns. Janikowski converted one of two field goal tries and all three extra points during Sunday's 27-24 loss to the Broncos. Analysis: Janikowski made a 35-yard field goal but missed a 46-yarder wide left. Much of Janikowski's value lies on the Seahawks offense, which will have another tough Week 2 test against the Bears. Janikowski completed both field-goal attempts, including a 55-yard try, during Friday's 21-20 preseason loss to the Vikings. Analysis: Janikowski is already locked into the starting kicker job after the Seahawks released Jason Myers. 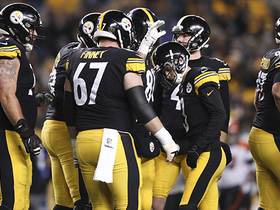 Knocking home lengthy field goals is icing on the cake and should give the team additional confidence in the 40-year-old when regular season commences. Janikowski will open the season as Seattle's kicker, Bob Condotta of The Seattle Times reports. Janikowski (hip) made a 53-yard field goal during Tuesday's mandatory minicamp, Bob Condotta of The Seattle Times reports. Analysis: The 40-year-old kicker was kept out of OTAs, but his hip appeared to be healthy as he made long field goals during live drills. Janikowski is assumed to be the Week 1 starter, despite the Seahawks bringing in former three-year Jacksonville kicker Jason Myers. However, Janikowski missed the entire 2017 season with back issues, so staying off the injury list is a top priority. During his last full season in 2016, Janikowski missed just one of 26 field-goal attempts under 50 yards. Janikowski did not participate in Thursday's OTA due to a hip injury, Bob Condotta of The Seattle Times reports. Analysis: Janikowski signed a one-year contract with the Seahawks in late April, positioning him to serve as the placekicker. However, he will have to edge Jason Myers to secure a roster spot in a battle that will likely take place throughout training camp. Janikowski's successful career likely boosts him to the lead entering camp. Janikowski's one-year contract with the Seahawks includes a $600,000 signing bonus and a $100,000 bonus if he's on the 53-man roster for Week 1, ESPN.com's Brady Henderson reports. 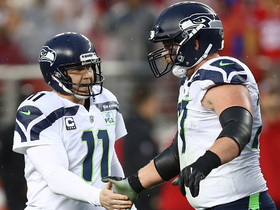 Analysis: Worth up to $2.015 million, the contract leaves little question that the Seahawks expect Janikowski to beat out Jason Myers in a kicking battle. 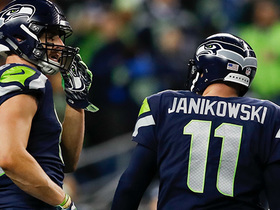 The job won't necessarily equal fantasy relevance, as the Seahawks are in the process of transitioning to a younger roster, with Janikowski actually ranking as one of their more significant offseason additions. He said he's made a full recovery from the back injury that held him out for all of 2017. The Seahawks signed Janikowski to a one-year contract Friday, Adam Schefter of ESPN reports. Janikowski has a visit scheduled with the Seahawks on Tuesday, Adam Schefter of ESPN reports. Janikowski's agent said Wednesday that his client is over the back injury that sidelined him in 2017 and intends to play during the upcoming season, Michael Gehlken of the Las Vegas Review-Journal reports. The Raiders informed Janikowski (back), an impending free agent, that they don't plan to retain him during the upcoming season, Adam Schefter of ESPN reports. Janikowski (back) won't return this season, Michael Gehlken of the Las Vegas Review-Journal reports. Analysis: Having used one of their designated-to-return spots to activate rookie safety Obi Melifonwu from injured reserve Nov. 4, the Raiders tabbed Antonio Hamilton (knee) for the other Tuesday. Janikowski will thus remain on IR for the rest of the 2017 season as he recovers from an injured disc in his back. In his absence, Giorgio Tavecchio will handle kicking duties for the final five games of the campaign. 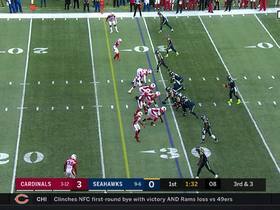 Seattle Seahawks placekicker Sebastian Jankowski nails a 33-yard game-winning field goal for the Seahawks. Seattle Seahawks kicker Sebastian Janikowski's 36-yard field goal try bounces off the right upright. 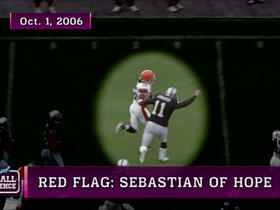 NFL Network's Kyle Brandt takes a look at some of the best tackles in Seattle Seahawks kicker Sebastian Janikowski's career. 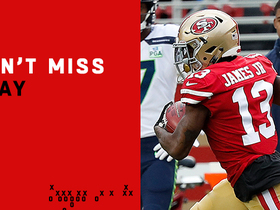 San Francisco 49ers wide receiver takes it all the way to the house for a touchdown on 97-yard kickoff return. Seattle Seahawks kicker Sebastian Janikowski is able to boot it in for a 48-yard field goal against the San Francisco 49ers. 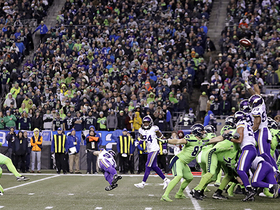 Seattle Seahawks kicker Sebastian Janikowski makes a 35-yard field goal. 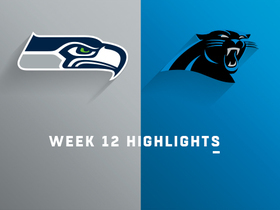 Seattle Seahawks kicker Sebastian Janikowski boots a game-winning field goal as time expires and the Seahawks defeat the Carolina Panthers 30-27 in Week 12.